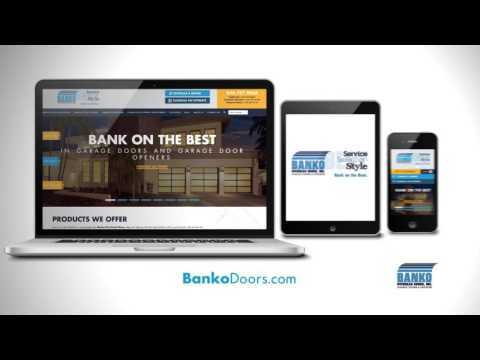 I had a great experience with Banko Overhead Doors Inc. I somehow got my garage door ajar and off track and desperately needed it fixed at a minimal cost. Called several companies from craigs list with not much success. Then I happen by a construction site for new home construction and asked the job superintendent who installed their garage doors. I was introduced to Banko, called the same day and made an appointment for a free estimate. I was amazed that the repair tech was able to come out the next day and even more amazed when I received the low quote. I immediately schedule to have the work completed and the same repair tech came out repaired the garage door within an hour and even got my garage door opener to work at no additional cost. I was extremely satisfied with the cost, timeliness and professionalism by this company and would recommend them to anyone.